At McClurg Chrysler Dodge Jeep, you'll find the handpicked lineup of quality used Chrysler sedans and Chrysler vans you've been looking for. Our Perry, New York used Chrysler dealership is the place to go for reliable pre-owned Chrysler models that fit your lifestyle and budget. Whether you want the spacious, family-friendly layout of a Chrysler Pacifica, or the luxurious look and feel of a Chrysler 300, you can find it here at McClurg Chrysler Dodge Jeep. 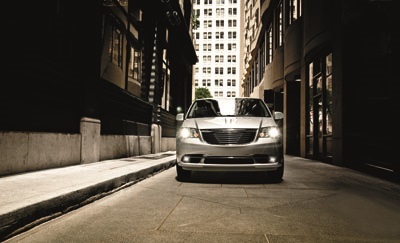 Sophisticated in design and technology, and always stylish when and where it counts, the Chrysler family of vehicles is all about keeping you ahead of curve. Visit our Perry, NY used car dealership today for a test drive! Find a used Chrysler model at your local Perry, NY Chrysler dealership. Thanks to our team of friendly and knowledgeable auto professionals, visiting our used Chrysler dealership in Perry, NY doesn't have to be a daunting experience. Here at McClurg Chrysler Dodge Jeep, we go to great lengths to ensure the best possible experience for all of our customers. Whether in our auto service or auto parts department, out on our new model showroom floor or in our auto finance center, we guarantee a welcoming atmosphere. Curious about how McClurg Chrysler Dodge Jeep can help keep your Chrysler performing its best? Stop by our Perry, NY auto service center for a multi-point inspection today! When you team up with the Perry, NY auto finance department at McClurg Chrysler Dodge Jeep, you can trust you'll get the kind of respect, one-on-one attention, and competitive deals you deserve. Thanks to our excellent trade-in values, you'll also discover the kind of extra savings you want when you value your trade. Not sure if your credit situation will allow you to get into one of our topnotch used Chrysler vehicles? No matter your credit, from good to bad to no credit at all, our auto financing specialists are excited to work with you. Call us today to schedule an appointment with one of our auto financing experts to learn more about how we can help you value your trade-in today!